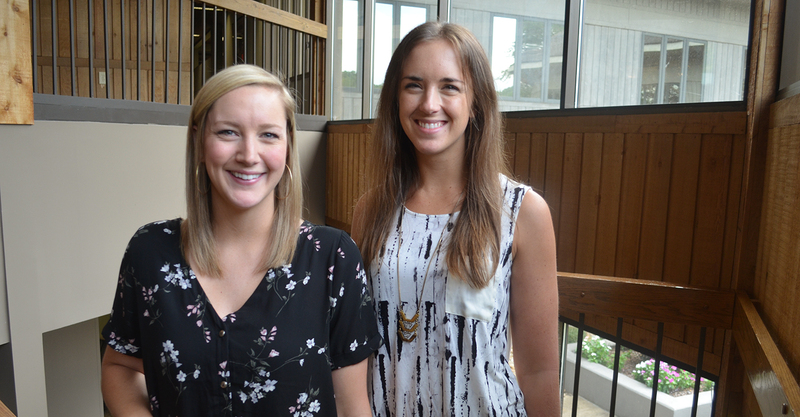 Infinity Marketing is proud to promote Digital Media Planners Jeanne Morrison and Leslie Eriksson to Digital Strategists as they continue to elevate digital expertise for their clients and throughout the agency. Jeanne Morrison has been part of the Infinity team for three years with her most recent position of Digital Media Planner. Her continued gain of knowledge in the realm of SEO, search, and display advertising has helped set the agency up for digital success. Jeanne is a graduate of the University of South Carolina where she earned her degree in Advertising. Leslie Eriksson also served as Digital Media Planner where she specialized in producing campaign plans and strategies for Infinity’s clients. The responsibility of executing these plans and giving clear and accurate results is an area in which she excels. Leslie graduated from Clemson University with a double major in Marketing and Economics. In their new role, Morrison and Eriksson will lead team members in knowledge, experience, and vertical expertise to grow our digital capabilities through digital tactics including paid search, digital display and video, paid social, SEO, and voice search. They will continue to work closely with platform partners such as The Trade Desk and Facebook while also strengthening Infinity’s Google Premier Partnership. As the world of marketing continues to shift to a more digital focus, Infinity is proud to recognize team members that strive to improve their skill sets and identify and develop best practices throughout the media and digital teams.